The Mixed Marvel Arts Podcast celebrates their milestone episode by entering the Age of Ultron. Nate returns to the show to discuss the Avengers’ latest team-up at the box office. The trio also tackles the controversies surrounding Black Widow’s role in the movie and Joss Whedon’s departure from the Marvel Cinematic Universe. When it comes to the film, Shaun gushes about the role of his favorite character, Hawkeye, while Brian and Nate are left wanting just a bit more. 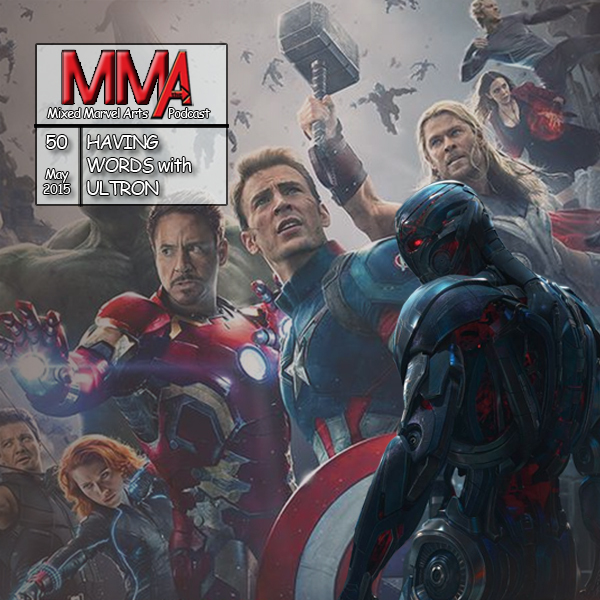 Besides covering the latest MCU installment, the trio also reminisces about some of their best moments from the first 49 episodes of the MMA Podcast, including Captain Stoneballs and a few of the shows’ more risqué messages.